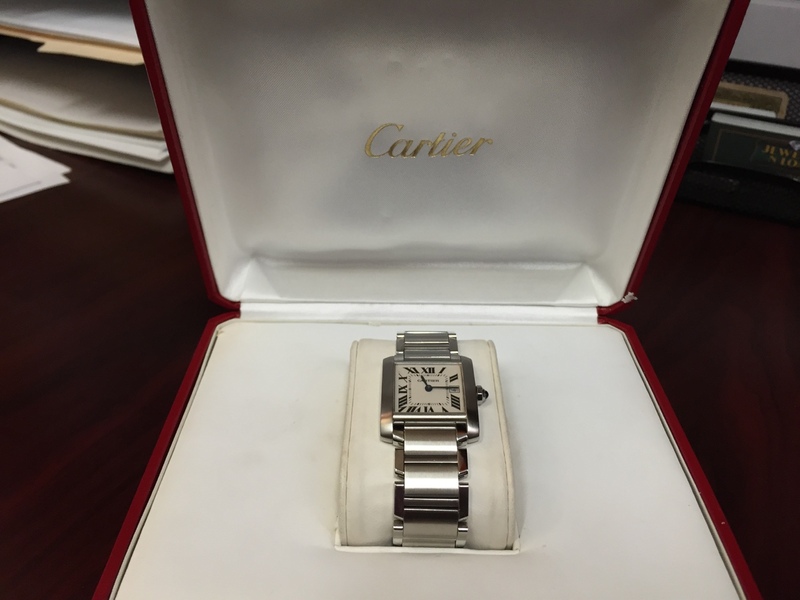 For this Deal of the Week, we are offering the timeless Cartier Tank Française in excellent condition with an original Cartier box. The Tank Française was introduced in 1996 and features similar bold lines and rounded edges like the original Tank. The watch features a thin curved steel case on an elegant brushed steel bracelet with polished borders and a hidden deployment clasp. Beneath the scratch-resistant sapphire crystal, the off-white dial boasts bold black Roman numerals and blue steel sword hands. An octagonal crown, appointed with a blue spinel cabochon, adds a distinctive touch. 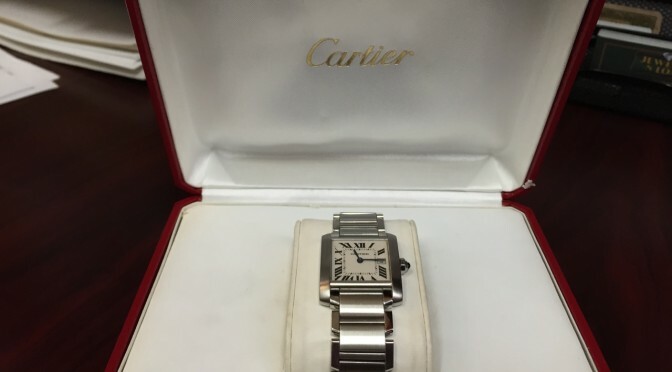 This watch retails for $4,750.